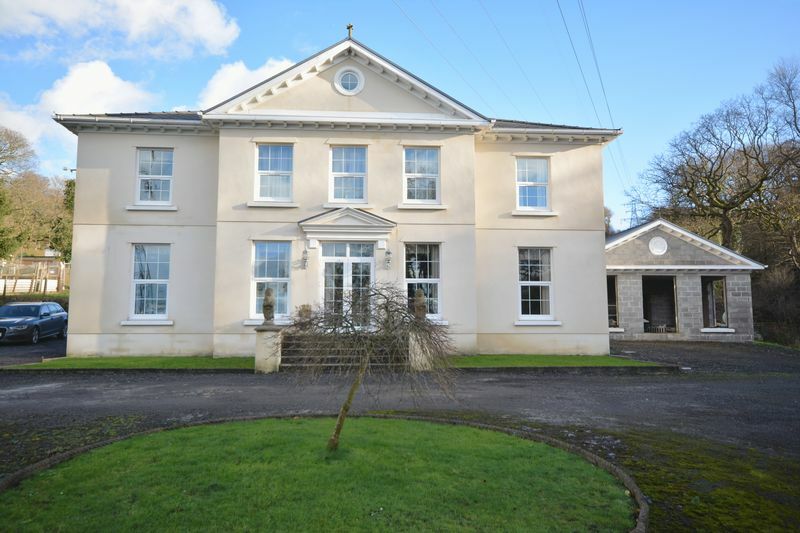 Offered to the market for the first time since it's construction, this substantial detached country house was built by the current owners. 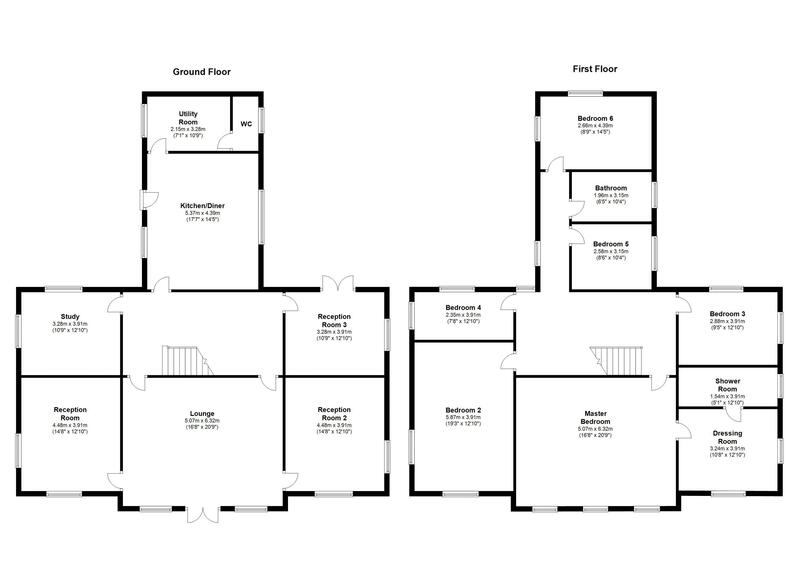 It offers spacious living and bedroom accommodation, ideal for a large, growing or extended family. 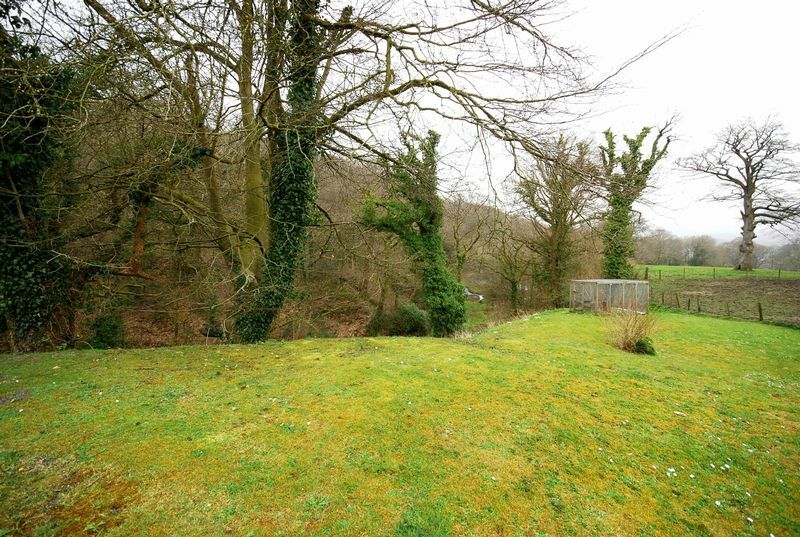 The property is located in a semi rural position, elevated above the village of Briton Ferry, enjoying far ranging views across the valley towards Skewen and beyond. Briefly, the accommodation comprises of a large reception hallway with glazed french doors, flanked by windows enjoying the far ranging views. 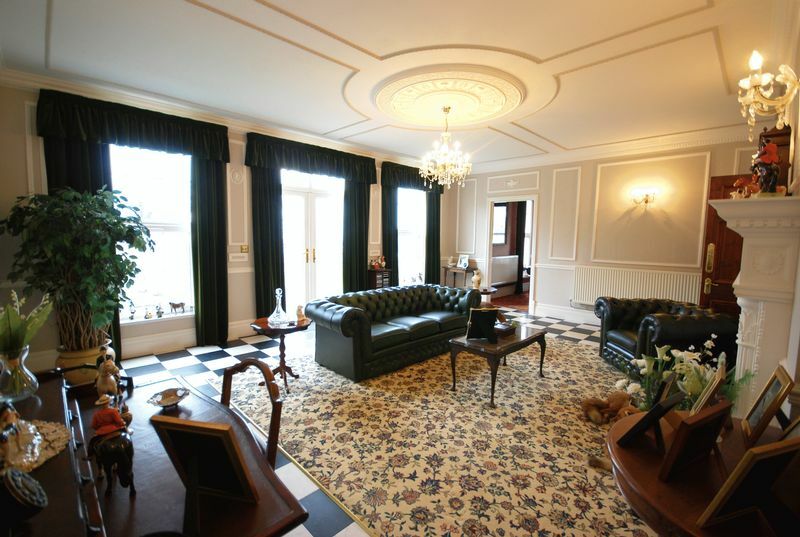 The room has part ceramic tile flooring. 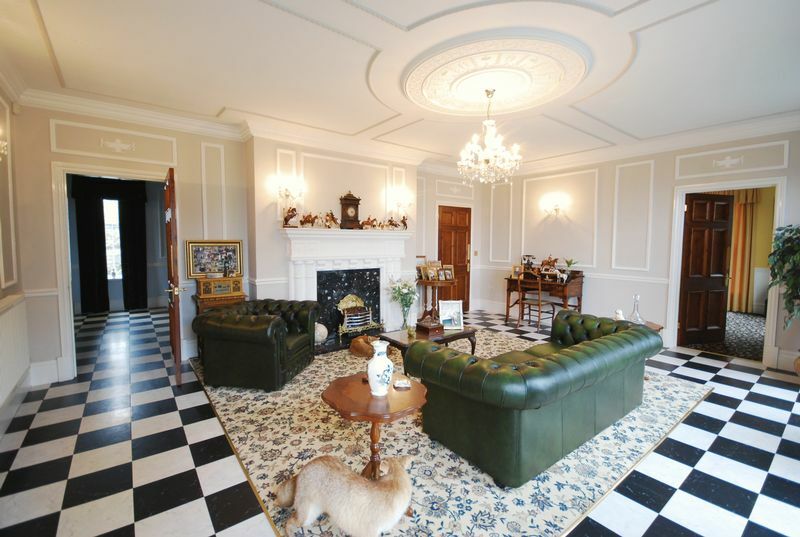 A large central feature fireplace with black marble hearth and inset with an ornate wooden surround and mantel. 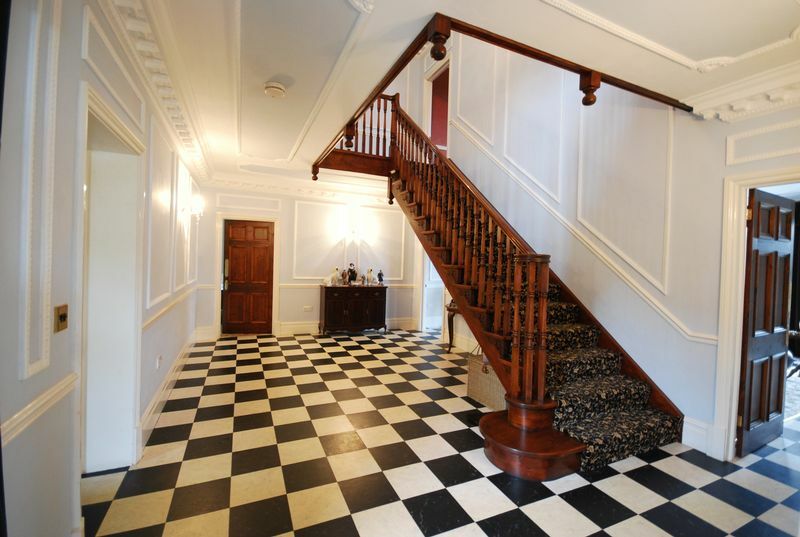 The reception hallway is flanked by the sitting room and drawing room. 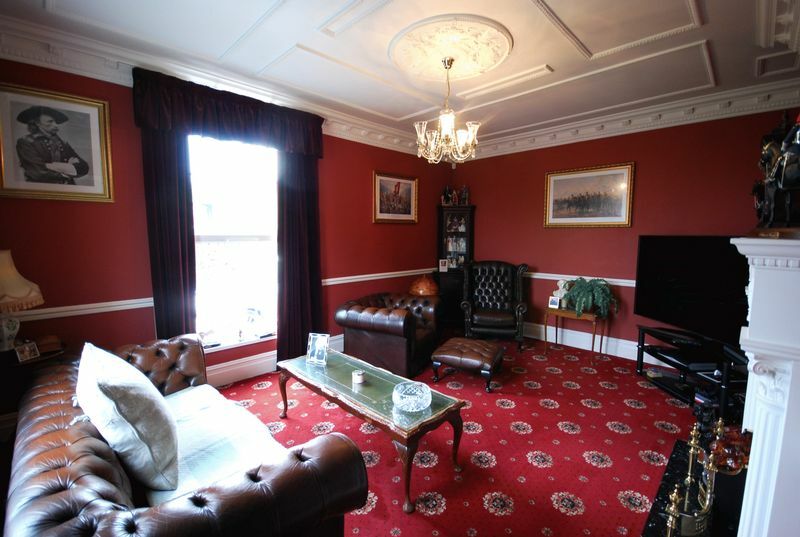 Both are dual aspect rooms, which benefit from an ornate feature fireplace. 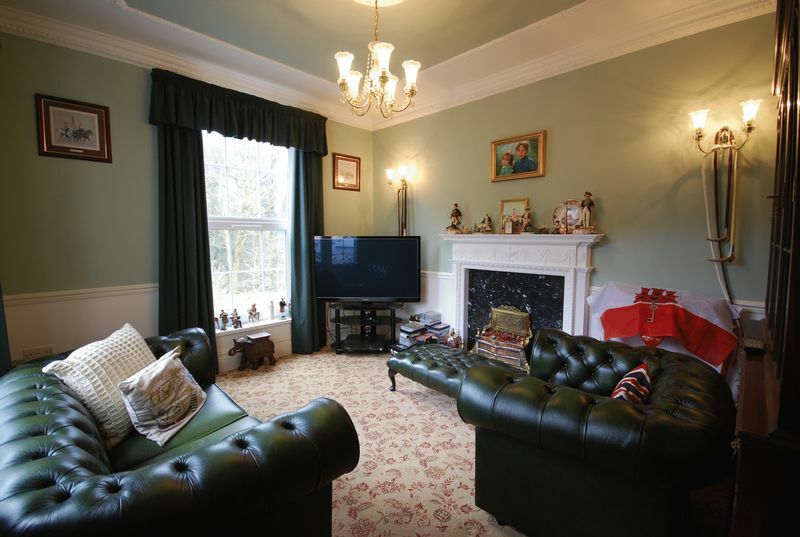 The sitting room enjoys into the neighbouring woodland. 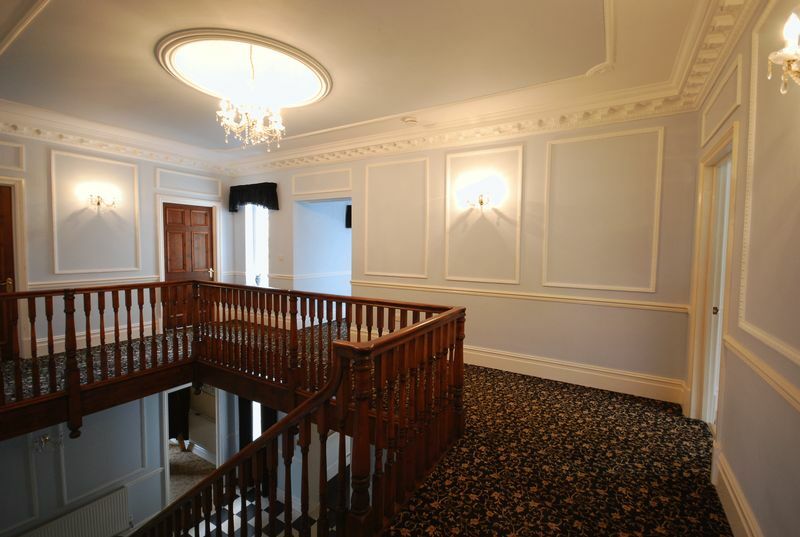 Beyond the reception hall is the hugely impressive central hallway which has a broad staircase rising to the first floor gallery landing. 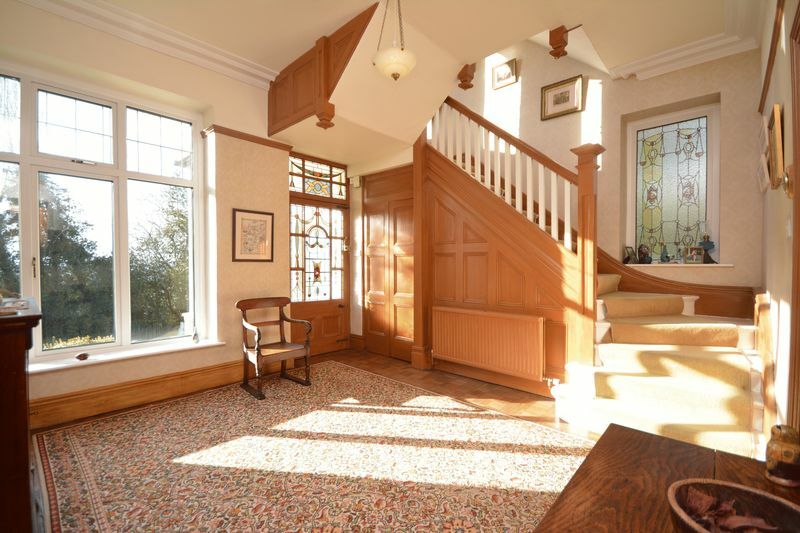 The hallway gives access to two further reception rooms, the lounge enjoys the same views to side as the sitting room. The study, enjoying views over the driveway. At the rear of the property is the kitchen/ breakfast room, with pedestrian door to side with fan light above and windows to two aspects. It offers an extensive range of cream base and wall mounted units, with dark granite work surfaces. A Belfast sink unit has a mixer tap over. 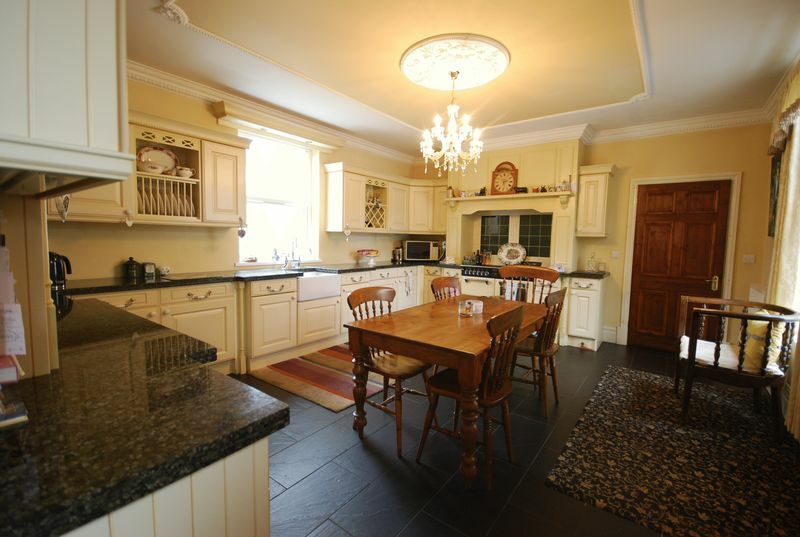 There is space and plumbing for a gas fired cooking Range, with fitted cooker hood above. Integrated dishwasher. 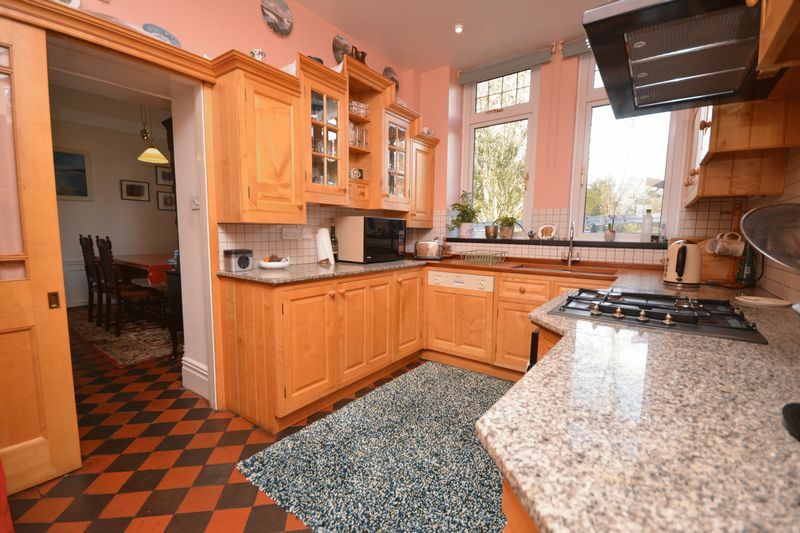 The room has ceramic slate effect tiled flooring which continues into the utility room, which houses the central heating boiler, it has space and plumbing for washing machine, tumble dryer and fridge/freezer. 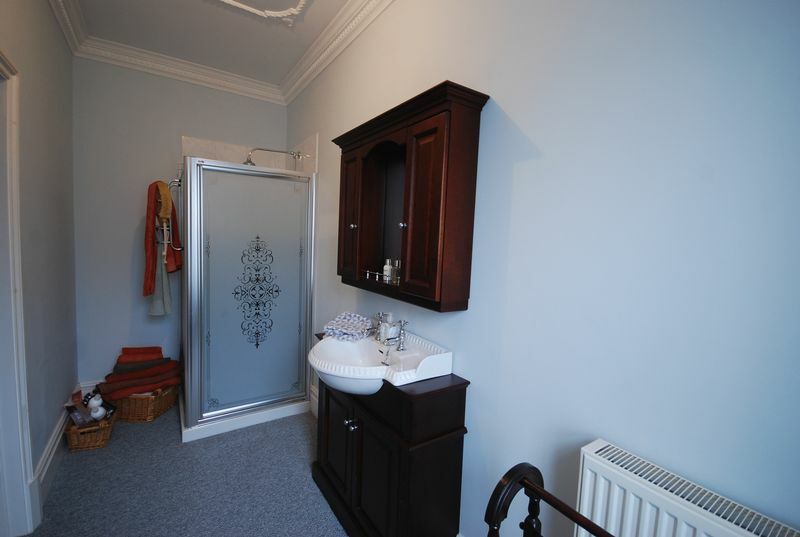 Beyond the utility room, is a ground floor cloakroom, offering a white two piece suite. 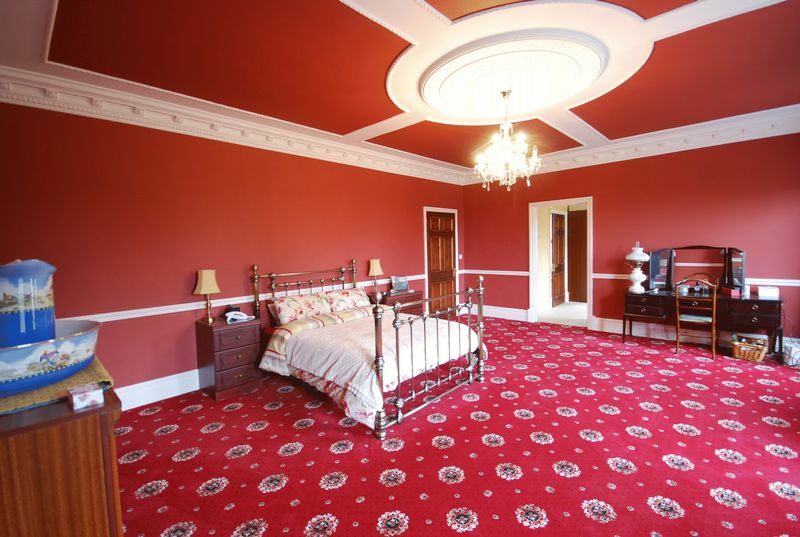 The first floor gallery landing with ornate ceiling rose and coving, gives access to the bedroom accommodation. The extremely large master bedroom which measures 20 10" x 16 8", has three windows to front aspect, enjoying the far ranging views. 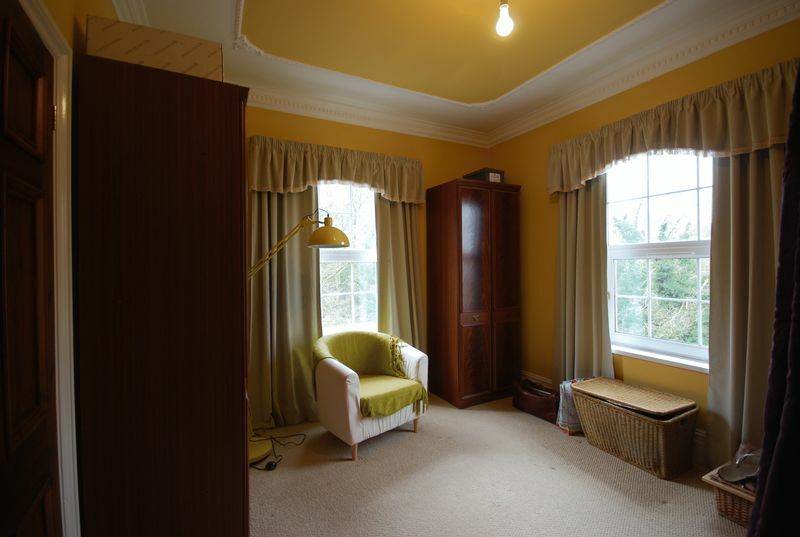 Off the master bedroom is a generous sized dressing room ( this could house a double bedroom). The dressing room is dual aspect with windows to front and side. Beyond the dressing room is an en suite shower room with a white three piece suite, comprising, a fully tiled shower cubicle with mains rainfall shower fitted, low level WC, sink unit with storage below and wall mounted mirror flanked by storage. . Four of the remaining five bedrooms, will house a double bed, all of the double bedrooms are dual aspect. 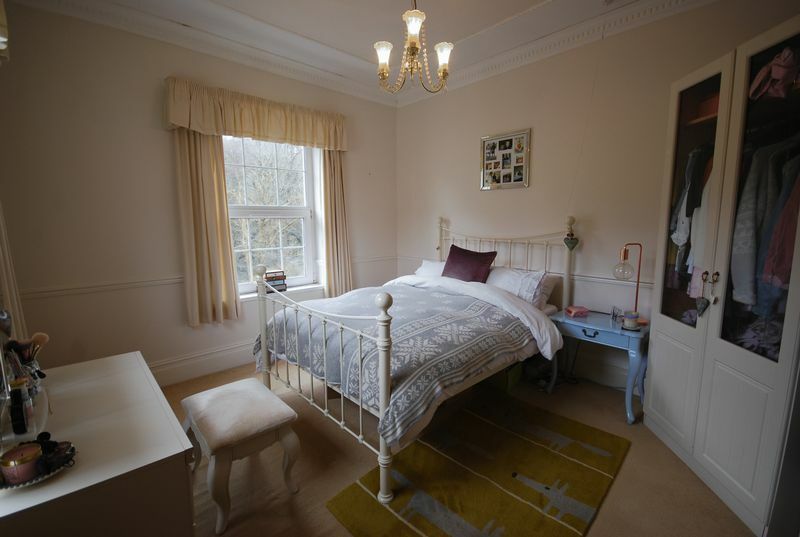 The fifth bedroom, with window to side has a loft inspection point. 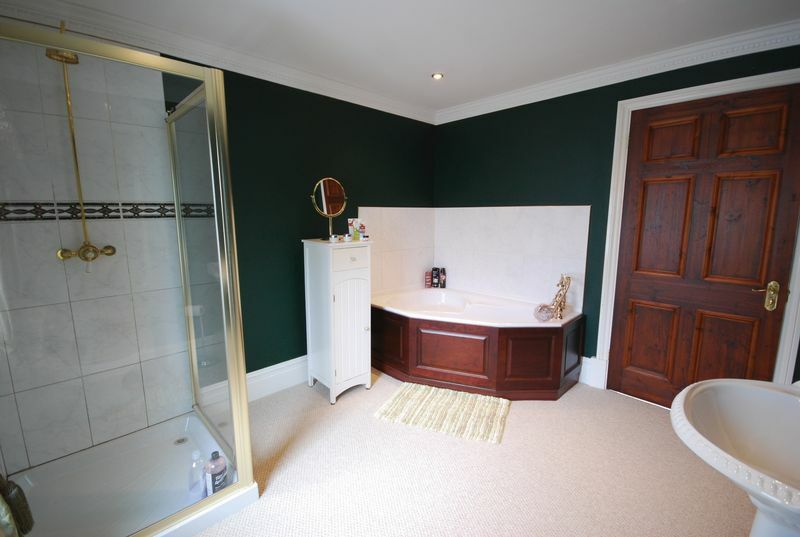 The family bathroom, offers a white four piece suite comprising, panel bath, fully tiled corner shower cubicle with mains shower fitted, low level WC and a pedestal wash hand basin. 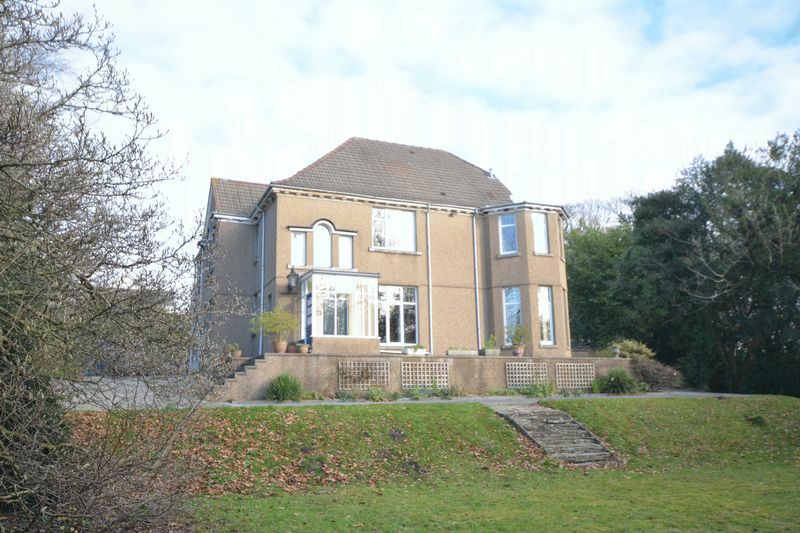 The property is located beyond a shared driveway with the neighbouring equestrian yard and neighbouring properties. The house itself, offers a huge amount of parking on the gravelled driveway, which leads around the front of the property, with turning circle and beyond to where the part finished detached outbuilding is located, built with planning permission for a detached garage and workshop. The owners planned for a change of use into a leisure complex. It is a double skimmed outbuilding, with a pitched tiled roof. 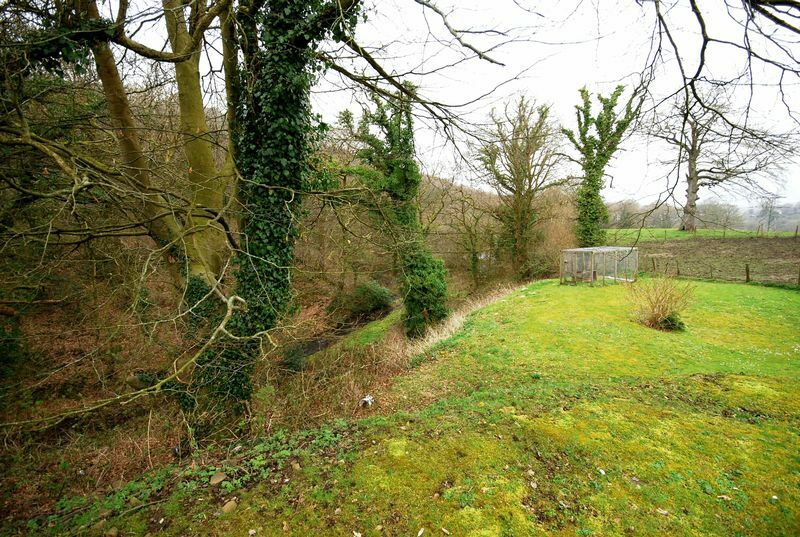 Beyond the driveway and parking area, is a sloping lawned garden with raised shrub and plant borders and a copse of trees, which runs down to a stream and reservoir. From Briton Ferry traffic lights, proceed along Ynysmaerdy Road, pass cemetery on your right hand side, next left onto Pant Howell Ddu Road, continue along this road until you find the sign for the farm and turn right. Roceed along the lance and the property will be in front of you.